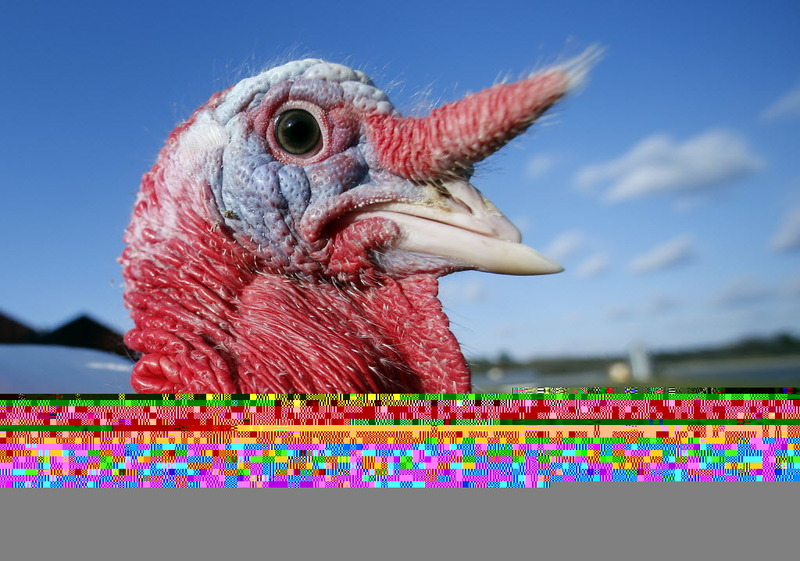 By Manuela Tobias on Monday, November 20th, 2017 at 11:16 a.m.
Before gobbling turkey, stuffing and pumpkin pie -- or engaging in a well-informed political spat with your family -- some of you might wonder where the Thanksgiving tradition originated. We wondered, too. So we talked with historians to get the facts straight. As it turns out, historians trace the food coma-inducing tradition to multiple origins -- none of which closely resemble what Americans celebrate today. Some celebrations were in the summer. Others put prayer (and even fasting) ahead of feasting. And most menus lacked the modern staples. There’s one particular Thanksgiving that historians generally agree is the original Thanksgiving. It happened sometime in the fall of 1621, and was more likely an impromptu gathering. What we know of the meal is limited to a few lines in two books by Pilgrims: Mourt's Relation by Edward Winslow and Of Plymouth Plantation by William Bradford, the founder and governor of the Plymouth Colony settlement. The Pilgrims were celebrating their first "halfway decent harvest" when members of the Wampanoag tribe showed up, likely uninvited, according to journalist Charles Mann, who wrote 1491: New Revelations of the Americas Before Columbus and 1493: Uncovering the New World Columbus Created. Bradford’s account doesn’t mention the Wampanoag, but Winslow describes Pilgrims rejoicing the "fruits of our labours," with "many of the Indians coming amongst us, and amongst the rest their greatest king Massasoit, with some ninety men, whom for three days we entertained and feasted, and they went out and killed five Deer, which they brought to the Plantation and bestowed on our Governor, and upon the Captain and others." Mann said it’s unlikely they all ate turkey (although Bradford describes a "great store" of the birds). Nor were there any of the potato or sweet potato dishes enjoyed today, as those didn’t grow in the colonies yet. They may have had cranberry sauce, although the Pilgrims didn’t recognize cranberries as edible, and salad was unlikely because of the cold. Without wheat or apples, they probably didn’t enjoy pies, either. Instead, they ate fish stew, cornmeal mush, and game, courtesy of the Wampanoag. Mann doesn’t doubt the friendliness of the exchange. A few years before this potluck, a disease from shipwrecked French sailors swept through New England and killed most of the Wampanoag. The Pilgrims from the Mayflower essentially set up shop in one of their decimated villages. While Mann says the Wampanoag likely regarded the English as "uncouth idiots" — who arrives six weeks before winter with no food? — their value derived from the trade goods they brought from Europe. In the spring following the Mayflower’s arrival, the Wampanoag allied themselves with the Pilgrims to gain British goods and protection from warring tribes like the Narragansett, who wouldn’t mess with an ally of their trade partners. The Pilgrims in turn looked to the Wampanoag for survival, gaining valuable tricks like using fish for fertilizer to make effective use of their stolen cornfields. They had a mutually beneficial relationship for about 50 years, until King Philip's War in 1675 forever shattered the hope for coexistence. "So even though a symbolic thing, it does stand for something that was pretty good for 50 years," Mann said. "Things could have been a whole lot worse." Those may be the origins of the modern Thanksgiving, but the Pilgrims didn’t see it that way. "I have no problem calling the three-day feast of ‘21 Thanksgiving," said historian Melanie Kirkpatrick, who wrote Thanksgiving: The Holiday at the Heart of the American Experience. "But from the perspective of the Pilgrims, that was not a Thanksgiving. Because it was a feast, it wasn’t a religious event. They would have had prayers giving thanks." The first Thanksgiving the Pilgrims likely would have recognized actually came in July 1623, summoned by Bradford as a day spent in worship and prayer to give thanks for a rainfall that ended a drought and saved the harvest. Connecticut was the first state to call a Thanksgiving for general, everyday blessings, in 1639, according to Kirkpatrick. Other states followed suit. In 1789, George Washington issued the first presidential proclamation ever, and it was for a day of Thanksgiving on the last Thursday of November to nationalize the tradition. But it quickly became controversial, with members of Congress saying the president didn’t have that authority over the states. As a compromise, Washington recommended a day of thanks and sent a copy to every governor requesting, not ordering, the governors to issue their own day of Thanksgiving. Those days were finally consolidated with Lincoln, who proclaimed a national day of Thanksgiving on the last Thursday of November in 1863 in large part thanks to an aggressive campaign by magazine editor Sarah Josepha Hale. But even before that, Lincoln issued two days of Thanksgiving to "render thanks to our Heavenly Fathers for these inestimable blessings" in celebration of Union victories in April 1862 and August 1863. "That worked fine until 1939, when Roosevelt decided to change the date," Kirkpatrick said. As a result of the disagreement, Congress finally enacted legislation in 1941, which Roosevelt signed into law, making Thanksgiving fall on the fourth Thursday of November. Why do we toast to turkey? As for how turkey became the main dish for Thanksgiving, that isn’t as historic as you might think, either. A few wild turkeys may have been eaten during the original meal, but venison and seafood were more popular still, and the birds remained a luxury item for most Americans in the ensuing centuries. Roast beef, pork, and chicken pies were popular replacements, as were lobsters, oysters and clams. The Department of the Interior declared oysters a "Thanksgiving Day tradition" in a 1954 press release, which lists a Fish and Wildlife Service recipe for oyster stuffing you can still use to combine the culinary traditions. "The roasted turkey took precedence on this occasion, being placed at the head of the table; and well did it become its lordly station, sending forth the rich odor of its savory stuffing, and finely covered with the froth of the basting."